A Pondless Waterfall is a fun new generation of water gardens. The pond construction and pond design are in many ways much like a traditional pond with one exception. No pond. They will still sport the wonderful waterfall but no deep basin of water in the pond area. 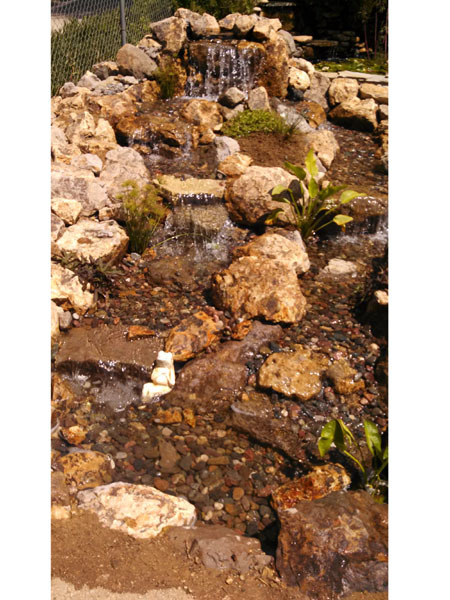 Some of the situations in which a customer might want to have a pondless waterfall would be if they have small children around or in a commercial pond construction application in which the protection and safety of the consumers is of great importance. 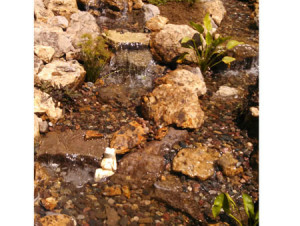 This pondless waterfall was placed in a commercial pond application. The design and technical difference of a pondless waterfall are very similar . We used a barrel as a placeholder of space and then added rocks over that. The barrel holds all of the water necessary to operate the pond. On top of the barrel is a flat grate used to hold the rock on top of the barrel and to give the pond a finished look. The motor to the pond is also located in the pit below. In this pond we used a 40 mil rubber liner underneath all rock and the whiskey barrel area to keep the water enclosed in the system. 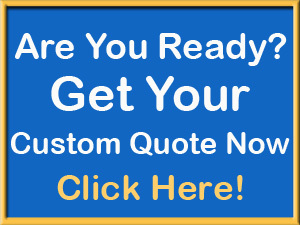 A good pond contractor will know what size pond motor and spillway to put on a pond. In this situation, we used a 4000 gph motor and a 19″ wide spillway. It is important to have proper flow to the pond so that the movement of the water will help and inhibit any possible stagnation to the pond, which in turn causes algae problems. Notice the rock formations to the pond. An experienced pond contractor will design a nice shape and form to a pond so that it does not look man made but natural. In most waterfalls like this one, I like to keep the plants in a controlled environment for numerous reasons. Firstly, it is nice to see the shape and falls of the pond without aquatic plants blocking the view. And secondly most of the plants are installed without any type of container so it is more difficult to control the roots from the plants from spreading all over the rocks in the stream bed. This pond has a great balance of falls, it spreads nicely into different directions and the plants chosen for this pond have been well chosen for the size of the pond.